I am so excited to have Heather from HRJ Events & Vintage Rentals with me today! She will be my first of hopefully many, Vendor Q&A's on the Simple Light Photography Blog. I have noticed in this crazy wedding industry, full of a lot of different personality types, there are some really fun, down-to-earth people that have so much to offer creatively. The ones I enjoy working with the most and that I know you, my super cool, creative brides, will also love spending time with. I also know how complicated the wedding planning process can be. But with the right vendors and support, it can be the best time of your life. So without further ado, lets meet this rad lady Boss!!! Heather, Thanks so much for letting us into your business today! Please, tell us a little about your business and what services you offer for our brides and grooms! Hi there! HRJ Events and Vintage Rentals is a wedding and event planning company that I started with my husband Aaron at the beginning of 2014. Aaron is more of the “behind the scenes” kind of guy, and is the builder, fixer upper, heavy hauler, Projects Manager. I am the wedding and events planner, stylist, antique shopper, list maker, boss lady. In addition to planning weddings and events we also offer unique vintage rentals and other fun items like chalkboards, cake stands, drink dispensers, mason jars, etc. · Initial meet and greet and discussion of wedding. · Unlimited consultations via telephone, text, or email. · Discussion and guidance of wedding budget. as a unique couple into your day. · Visit to both the ceremony and reception sites. · Development of detailed wedding timeline and floor plan. · Formulate a “Plan B” in case of inclement weather. · Work with officiate and guide wedding rehearsal. · Wedding day coordination and troubleshooting. · Manage emergencies or unexpected occurrences. Obviously I love Simple! So I love that simple package plan. I am all about taking the complex out of the wedding planning process. Tell us what sparked your interest in working with couples to plan their weddings? In 2004, I attended one of my very first weddings as an adult. I hadn’t been to that many weddings as a child, and when I went to this specific one, I was blown away! I had no idea weddings were so beautiful, could hold so much detail, and were held in gorgeous places that just took your breath away, and made you appreciate this life we live here on earth. I was mesmerized. When I left that evening, I remember thinking how incredible the venue was, and thought to myself that someday I wanted to have and operate my very own wedding venue. For the next few years I started to cut out pictures of weddings, tiny details, landscapes, buildings, and structures. I compiled a scrapbook (too bad we didn’t have Pinterest back then – it would’ve saved me a lot of time!) and created a vision of what I someday would want to own. Turns out, I have expensive taste. Don't worry..... I do too! I wanted to build an exposed beam - timber frame structure that would cost me over a million dollars! Here came my reality check - I didn’t have that kind of money, and it would’ve taken me my whole life and then some to save up that much. I didn’t want to lose sight of something I finally felt passionate about as an adult, so I decided to focus on weddings themselves, not the actual venue. This shift, along with God’s perfect timing, landed me a job at an increasingly popular wedding venue in Colton, WA. I got to work first hand with couples on planning their wedding, and executing their ideas. It was amazing. I had the best bosses who taught me everything I know, and I am eternally grateful for them! I completely fell in love with my job. In fact, it didn’t feel like a job at all - that was when I knew this is what I was meant to do. Someday I may still build my dream wedding venue, but for now, I get to work with incredible couples, at numerous wedding venues, and love what I do every step of the way. It's awesome to hear how passionate you were about keeping your dream alive! What do you love most about your job? There are so many things I love about my job that it’s hard for me to name just one – I love figuring out all of the logistics for a wedding, and then executing them on the big day! I love getting to know my clients, and then feeling like friends on their wedding day. I love shopping for antiques, and the thrill of the hunt. I love building things with my husband (okay let’s be honest, he does most of the building – I just supervise!) that we add to our rental inventory. I absolutely love that every wedding is different. I love Styling. I love networking with new vendors. I love it all! You speak so lovingly about Antiques on your website. We love antiques here at Simple Light too! What draws you to them and how does that affect your business? My love affair with antiques grew when my husband and I had our first home together. It was so fun to find pieces that we both liked to decorate our home with. We are both History lovers, and so it was always fun to find antiques, and think about the history behind them, like, who sat in this chair, or how many times has this book been read or what did they even use this box for? I think it affects my business in a positive light, by making our unique finds available to the public, so that they too, can add a special touch to their wedding or event. Being able to incorporate my love of antiques into my job is such a fun perk! How would you describe the style at HRJ? We have a feeling it’s a little vintage. . . Absolutely a little vintage! I would also say our style is a little Rustic, Romantic & chic. I love that! Who is your dream client? My dream client is someone who understands the full value of investing in a wedding planner to execute the details of their day, and appreciate the idea of having organization and direction at a wedding. They stay true to their personalities and tastes. They want their wedding to be a unique and true reflection of themselves as a couple. My dream client is someone who wants ME specifically as their planner. They’ve seen my work, they like what I do. Not just because I’m what they can afford or because they found me on a quick Google search. There’s no better feeling in the world than knowing your clients want YOU, and love what you do. I actually encourage my clients input. I am there to lend my expertise, and help lead the way, but ultimately, I want their day to be about them, and who they are as a couple. I have seen you work with the wind blowing like a tornado and you TOTALLY kept cool under pressure! Brides and Grooms shouldn't have to deal with that on their special day. That is worth investing in. Where does your dream client get married? Is there any location in our PNW where you have always wanted to plan an event? There are so many beautiful places to get married here in our PNW. Epic hashtag! #havecamerawilltravel too!! What moment do you look forward to most when executing a wedding plan? The moment I look forward to most is right after the kiss, when they are announced husband and wife and are walking back down the aisle. Witnessing the sheer joy on their faces is the best. My heart is full, and I am so honored to be a part of their special day! I got them down the aisle, everything is set in its place, and this moment right here – witnessing their love for one another is truly remarkable. I get that same heart full feeling! We know what makes you great, but in your words, what makes your services special? What sets you apart? I think any Bride and Groom would benefit in hiring a wedding planner. My hope is that what I offer makes an impact, and stands out. One thing that may set me apart is, we offer vintage rentals, and brides that hire me as their wedding planner get a special discount on them. I will do my utmost to make sure your day runs as smoothly as possible so that you can be in the moment with your friends, family, and loved ones. Where do you find the most inspiration in your daily life for upcoming events? Inspiration for upcoming events can be found anywhere in my daily life. Be it at an antique store, I may find the perfect piece that would work great as a cake table, or maybe I find a darling piece of fabric at the fabric store that I know I can turn into the perfect table runner! I also love creating new ways to use my current inventory. 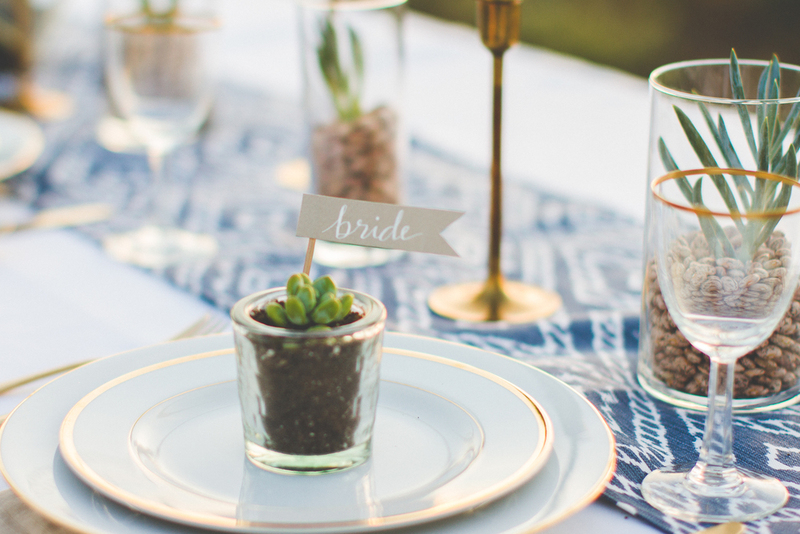 Do you think it’s possible to have a lovely, vintage wedding on a limited budget? I do believe it’s possible to have a lovely, vintage wedding on a limited budget! I am a big fan of DIY and re-purposing. The flowers that once were decoration down the aisle at the ceremony can now be placed on the cake table, bar tables, or reception tables. If DIY is not your thing, maybe try DIT (doing it together). Have all your bridesmaids come over and help assemble the favors. Or ask friends or family members to help with certain aspects of the wedding – like having Aunt Jan make the cake because she is a phenomenal baker. Odds are, they would be more than happy to help out, and would be honored to help make your day so special! Styles in the wedding business are always changing. What’s your favorite way to stay current and focused on what modern brides of today are looking for? It’s incredible the amount of information we have at our fingertips. On our computers, phones, and tablets, we can access social media sites and search hash tags for certain wedding trends. Pinterest is a great platform for creating inspiration boards with my clients. I also love wedding blogs like: A Practical Wedding, Green Wedding Shoes, Wedding Chicks, and Style Me Pretty. How far in advance should brides and grooms contact you? Do you have more than one consult in advance of the event date? And how would you recommend they prepare before they meet with you? I take a limited number of weddings each year, so it is best to book early. I do have more than one consult in advance of the event date, and they will have unlimited consultation via telephone, text, or email. To prepare, potential clients should check my website and get a feel for who we are and what we do. Have a basic idea of how much money you have in your budget, how many guests you will have, your preferred wedding date, and the vision for your wedding. Understand that you don’t have to say yes at our first meeting. Go home, think about it. Make sure we had a good connection, and that our personalities meshed well. Listen to your gut. Thank you so much for answering our questions and letting us into HRJ today! Any last comments you want to share with my future Simple Light Couples? I’d like to share with future Simple Light Couples: Recently I worked firsthand with Reese at a fun bridal styled photo shoot. Not only is she beautiful on the outside, (I mistook her as one of the models:)) but she is on the inside as well! She is very kind, and personable, and super easy to work with. She is a rule breaker, and takes chances with her photos, and I think they speak for themselves - they are phenomenal! I don’t think you could go wrong hiring her as your photographer! Thank you for letting me divulge a little bit about myself to you guys! If you have any questions at all, don’t be afraid to shoot me an email! That is so sweet of you to say! And the feeling is mutual! If you want more, more, more vintage check out Heather's sweet little corner of the inter web! Her website is adorable and you can dig even more into the back story of her business and see her adorable little inventory of vintage rentals! It makes me want to get married again just so I can do it right and hire a wedding planner this time! Thanks for stopping by the blog today!